It was hot this weekend - even walking at six in the evening I got hot! 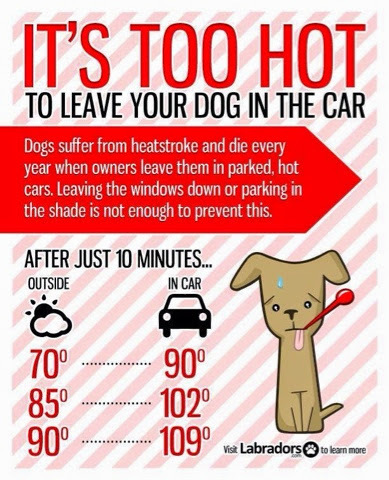 Seems a good moment for a timely reminder about leaving dogs in hot cars - it can be fatal! Your car will heat up ridiculously quickly on a hot sunny day and us poor doglets just can't cope with it. We could get heatstroke and after less time than you think, it could lead to death. So remember, don't even leave your gorjuss doggies in your car for even a few minutes!